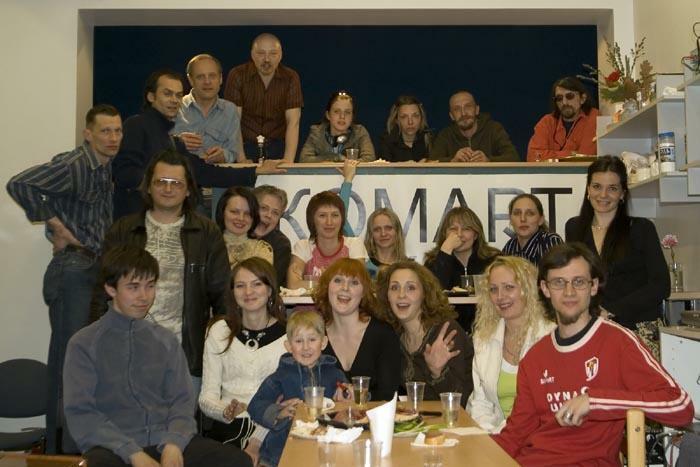 KOMART-club is based in Vyhod Media Center which is natural. The Media center has always supported all forms on contemporary culture and synergy art projects. 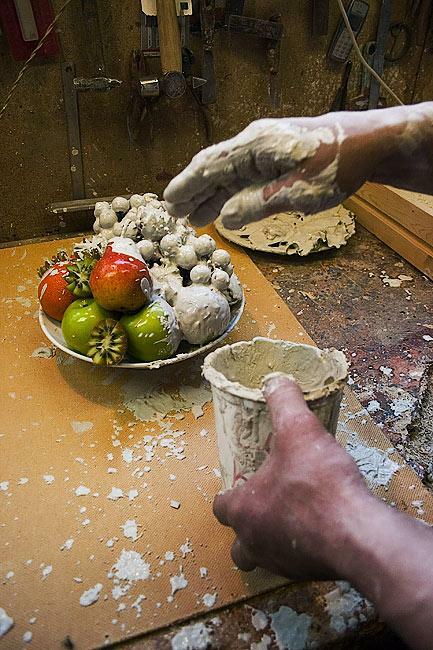 Installation, performances, media art are those key notions that the Center came into the world of art with. 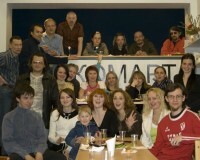 KOMART-club activities started in April 2005. 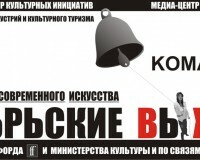 Among its first much-talked-of events is “COME ON, KOMART!” media festival, a unique joint concert of “Music of Nomads” (Tyva) and “VaTaGa” (Petrozavodsk), a contemporary dance performance of “GRUPPEN FYRA” (Finland) and the 1st Contemporary Art Festival “VYHODKA”. KOMART-club seeks to bring together artists, photographers, designers, stylists, actors, poets, writers, musicians, composers, media and performance artists, dancers, film makers and other creative and extraordinary individuals to work towards the promotion of contemporary art. 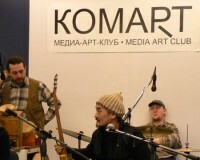 Anyone who drops in on KOMART-club can join different cultural activities and events. We feature theater from experimental productions to media theater, exhibitions of different contemporary art forms, modern literature, ethnic and world music. Here you can discuss the latest trends in modern photography with famous photographers and participate in a master class. You can watch an online interview with interesting and outstanding people on the big screen reflecting upon the meaning of life at the famous radio station studio. You can also watch non-commercial movies of cult film makers and browse in the World Wide Web. Or you can just sit back and have a good time in the company of old and new friends. 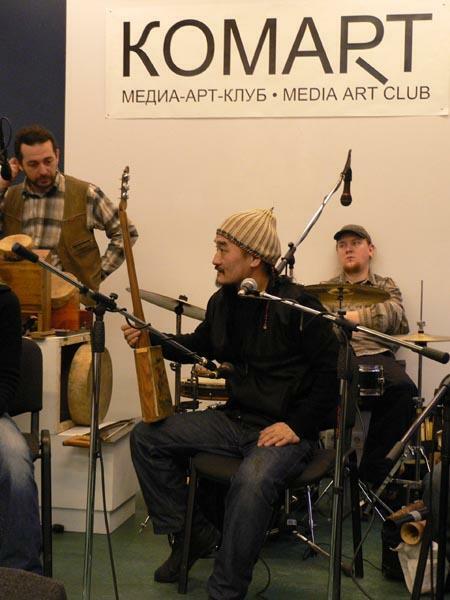 On the other hand, KOMART-club offers the creators a chance to find their audience by presenting their art and capture their cultural contribution in audio, video, CD, brochure, photograph and other formats as our concert and exhibition space also serves as an open public studio.